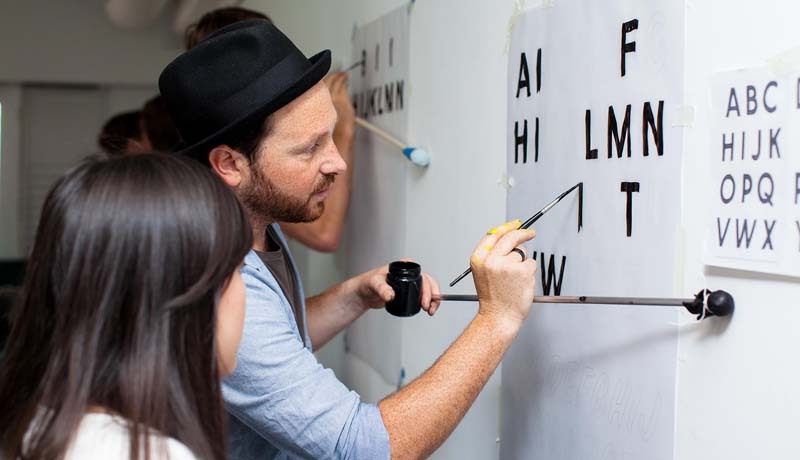 Since 2013, sign painter, artist and muralist, Brett has been travelling the east coast sharing knowledge and processes through a series of courses with a focus on the age-old craft of hand-painted lettering. Create an abstract artwork of continuous overlayed words from lyrics using acrylic paints and chiselled lettering brushes while listening to music, with Brett Piva from Pocket Design. Join Brett to create your New Year’s resolution in writing. Use hand-painted letterforms and lettering effects to create your resolution wall art.